I haven’t always been a listener of audiobooks, but ever since they became a staple of my daily life, I can’t remember life without them. I mean, I have to listen to something when I’m on a long drive, or doing dishes, or doing some monotonous work task, and sometimes music just doesn’t cut it. 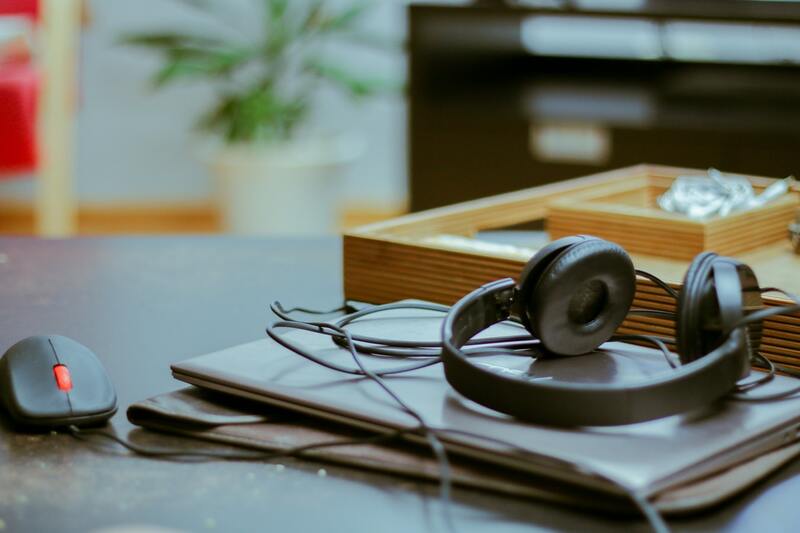 I’ve done plenty of “favorite audiobook” posts in the past, so today’s post just serves as an update to the last ten that ended up being really fantastic listens. hahahaha Yeah. They’re just okay. Very nice choices! I think I’d really like The Poet on audio! The author does an amazing job narrating it for sure! I wish I could like audiobooks! I don’t think I’ve found the right one for me yet. I think that was my problem for years. I just kept trying though because I knew that one would click for me eventually. 🙂 Hope it does for you too someday! I’m not fully engaged in audiobooks… can’t justify an Audible subscription (not when I own so many unread books) and my library has limited offerings. That said, my favourites have nearly always been books read by the authors themselves (Richard Flannagan reading Narrow Road to the Deep North and Rob Lowe reading his autobiography). I also like audios where accents are done really well – for example The Glorious Heresies. Oooh I could see Glorious Heresies being an interesting listen! But I agree, I love it (most of the time) when an author reads their own work. They would of course know best how to “read” it but I especially love it when it’s their own memoirs. Just adds something special to it listening to them tell it. I’d like to read (or listen to) Scythe someday. I just got an Audible membership so it’ll help me get more reading in, LOL. Scythe has been on my physical TBR for ages but I don’t know if I’m going to like it or not? I think I might try the audio for it, I’m glad you enjoyed it! I recently finished reading To Kill a Kingdom, I really liked it! Lin @ The Reader of A Thousand Stars recently posted…Things to Love About Audio Books! I loved Michelle’s story but I don’t think I would have enjoyed it quite as much as I did if I hadn’t listened to her tell her story. I hope you enjoy it if you do give it a listen! I’ve read To Kill a Kingdom, Scythe and Becoming, but all in physical format. I haven’t really got into audiobooks, I’d like to read more of them though. I love the title of Gabriel Union’s book. I can TOTALLY relate lately. I don’t use audiobooks but am enjoying everyone’s posts this week. I went with a musical direction. I’m reading Becoming. It’s wonderful! I’m glad the audiobook is good, too. Her story is an amazing one. I’m sure it’s just as amazing in print. 🙂 I’m glad to hear you’re enjoying it. I would love to listen to Becoming, I’ll have to check it out! Definitely! She was a pretty amazing narrator. 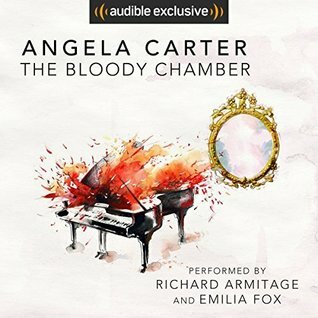 I really think the best audiobooks are nonfiction, read by the authors! I’ve been very tempted to pick up Becoming at Audible for this reason. I love listening to non-fiction on audio. Classics too I find are far easier to get through vs. reading in print. Excellent list. The Poet X was AMAZING!! I don’t always like the author reading–some just aren’t performers. This was a fabulous exception. I reviewed the book last week. It really was fantastic! I thought it was really interesting to find out that the author is actually a National Poetry Slam Champion. I thought that was really apparent in her narration. I loved listening to One Day In December. I am still waiting for a library audiobook copy of Michelle Obama’s book. I think my favorite audiobooks are 11-22-63 by Stephen King and The Martian by Andy Weir was fantastic. PHEW. So many intriguing picks on here. I’ve read a lot of these already so I feel like they’d definitely be easier for me to get into, than audiobooks that I’m otherwise not familiar with. I’m trying to fix my focus issues re: audiobooks this year. Or at least, improve upon them! Haha. Thank you for sharing. I listened to Becoming last month and absolutely loved it, Michelle Obama is such a compelling speaker! Kat recently posted…Top Ten Tuesday – Audio Freebie! She really is! I was very impressed with her performance. What’s your favorite platform? 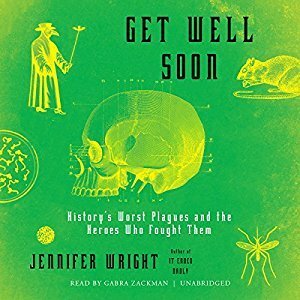 I have been using Audible but lately, I have been noticing plenty of others I am intrigued by. I use Audible a lot. I recently downloaded an app called Voice that I use when I transfer library audiobooks to my phone and it works very well. You’re able to change the speed of the audio just like on Audible. I used to hate audiobooks, but now (like you) I can’t remember my life without them. I listen to audiobooks when I’m cleaning, driving, or doing something with my hands (like crocheting or mowing the lawn). They’ve changed my life! They’re the only reason I get to read some days. Three kids are exhausting, haha. I really want to check out Lock In. Maybe I’ll have to give the audiobook a try!